Having been out of the game for a decade, what Kenny Dalglish will do at Liverpool remains to be seen. 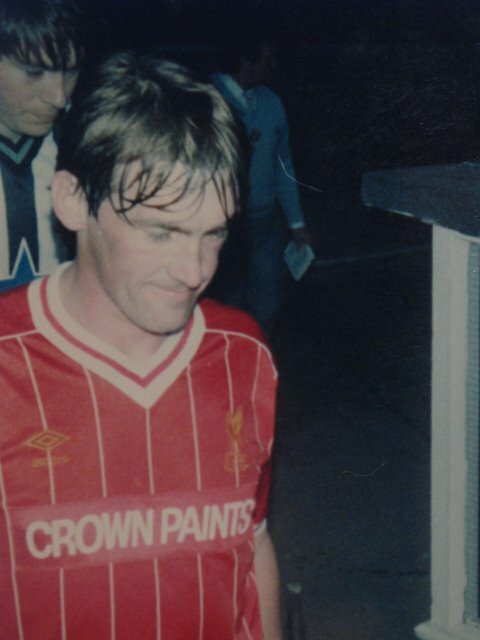 One of the main arguments against him coming back was that football has changed since the King left Anfield in 1991, which is true, but it nevertheless neglects one of the things we can be certain of Dalglish as a manager: he is pragmatic. Some of his methods might well need updating, but he’s unlikely to be stuck in his ways, instead looking to adapt to his players. At Liverpool, he opened up the team, bringing in John Barnes, Peter Beardsley, Ray Houghton and John Aldridge into Liverpool’s pass-and-move style, while at Blackburn he played with two target men in Alan Shearer and out-and-out wingers in Jason Wilcox and Stuart Ripley. His failure at Newcastle was in turning them from entertaining to boring to shore up their defence, much like Roy Hodgson at Liverpool. With this in mind, it’s also worth pointing out that he’s not completely deserted the game, he’s no doubt been observing for the last decade and has worked at Liverpool since 2009. Seeing Hodgson’s lack of success with his deep and passive style, you would expect Dalglish to adopt a similar approach to the last time he managed Liverpool, pressing high up the pitch and passing short, something the squad is perfectly suited to due to Rafa Benitez’s beliefs. The bigger headache for Dalglish will be the shape to choose. During his first spell at Liverpool, Dalglish played a 4-4-2 with one pacey out-and-out winger and one tucked-in on the opposite side, while playing a withdrawn forward like himself behind a striker, and he appears to still be a big fan of asymmetric systems. of two pacy wide players who have struggled to make an impact at Liverpool, Ryan Babel and Milan Jovanovic, Kuyt would fight it out with Maxi Rodriguez and Glen Johnson replaces Arbeloa. However, should Dalglish want to narrow the midfield further, making possession football easier, he could shift Steven Gerrard to the right midfield role he often operated in during the beginning of Benitez’s reign and bring Joe Cole into the playmaker role, although doubts over his intelligence and the trequartista position itself suggests it might not be a great idea. Dalglish has stated that he believes Gerrard’s “best position is centre midfield” which could see him continue with Hodgson’s 4-4-2. However, breaking up the miraculously quick-to-click partnership of Raul Meireles and Lucas Leiva for someone who simply doesn’t have the awareness or decision-making to play there (see his positioning for Gareth Barry’s goal in the 3-0 drubbing away to Man City) would most likely be a mistake. On the other hand, Dalglish says this is on the basis of having “Gareth Barry behind him as cover” and is about picking the system that “will get the best out of him.” Leaving one man against against two or three in midfield, like the screenshot below, isn’t recommended as it’s simpler to pass around, something Dalglish points out in another aticle. Gerrard's meandering leaves Liverpool's defence exposed. With Lucas and Meireles arguably Liverpool’s best players this season and Gerrard untrustworthy without significant cover, it would make sense for Dalglish to opt for a 4-3-3. It’s a formation that naturally lends itself to possession football and wing-play, both common conventions of Dalglish’s sides, while allowing Gerrard to play in central midfield and link up with Fernando Torres without leaving huge gaps. Judging by his comments on what Frank Lampard brings to Chelsea’s attack,Â Dalglish sees this kind of dynamic midfielder as very important and should things not go well early on, he may well opt to play him in an advanced position, reuniting Meireles and Lucas as the holding midfielders in a 4-2-3-1. His comments on Joe Cole would appear to suggest he would like him on the left, although this could just as easily be Maxi Rodriguez or to a lesser extent Kuyt, while he would like Johnson to be able to do “what he does best, getting forward.” It could be that Dalglish does what some Liverpool fans have wanted for a while: playing Johnson on the wing. He is quick, something that Dalglish has noted, and is obviously good going forward. Using him as a winger also lessens the effect of his poor defensive form, although it is often overlooked that Johnson looked good defensively early on in his Liverpool career when Benitez was pressing high up the pitch, as hopefully Dalglish will do. An outside bet could be that, with Dalglish’s academy experience, we could see an increase in the number of youth players given a chance in the first team. Dani Pacheco is one of the more obvious candidates to take the step up and could make that playmaker position his own, although that doesn’t solve the Gerrard problem. Regardless of the shape he chooses, as long as Dalglish presses higher up the pitch, he should fare better than Hodgson. Except for Sotirios Kyrgiakos and Jamie Carragher, none of Liverpool’s players suited Hodgson’s style which still makes him such a puzzling appointment, so, in theory, Dalglish should succeed simply by not being like Hodgson. Providing it is only until the end of the season it should be a brilliant appointment – he doesn’t need to be world class, he just needs to be competent for Liverpool to improve, anything else is a bonus. Long live the King. The key is maintaining the Lucas/Meireles partnership. So many blind former player-pundits still subscribe to the “Lucas just isn’t good enough” garbage, let’s hope KD is intelligent enough to recognize how well they’re working together. Gerrard behind Torres seems like a no-brainer, and KD’s best team probably doesn’t have room for Joe Cole, or at least it shouldn’t. I’m looking forward to seeing Martin Kelly & Daniel Agger in the middle of defense. And I’m curious to see if Konchesky gets a game from here on out. I think unless we bring in another Left Back during January then Konchesky will still feature because as we all know Aurelio isn’t the fittest player we’ve ever had. Yeah, I was basing it on who’s available at the moment but it’s definitely an issue, would be interesting to see if anyone tries to bring back Insua. Good article again, Mr. Askew! Excited to see what Kenny has in mind. Seemed to be a lot of rotation when we had 11 men yesterday. Can imagine a very fluid system being used. Good article, I’d like too see him maintain Lucas and Mereiles with Gerrard further up supporting Torres. Cole might perform better cause often he was receiving the ball too deep under Hodgson so further up the pitch closer too Torres and Gerrard might see him more effective. My main concern is pace. Cole’s trickery can be good but his not about pace, the same applies to Kuyt on the other side. Maybe maintaining Kelly at RB and giving Johnson a chance on the wing is not a bad idea. It was just a throwaway remark, but I’d like yo understand better why you think Hodgson’s failure was due to strengthening defence at the expense of attack. That may have been his intention, but one thing that has been clear this season has been the sheer poverty of Liverpool’s defence. Poulsen turned out to be no replacement for Mascherano. Utterly bemused by the speed that opposition teams close him down, and with no time to think on the ball, he has been a liability all season. Passing him the ball has been a proxy for passing it to the opposition so regularly has he given it away. Konchesky’s inadequacy has been painfully obvious too. That Dalglish has discarded him is no surprise and, frankly, is an act of mercy. Lets be honest, the key changes Dalglish have made have been to reinstate Agger to the heart of defence, drop Konchesky and find a way to get Martin Kelly on the pitch. Further forward he has tried a few things, but the formations are much the same as Hodgson was using (in the absence of Gerrard) assisted by what appears to be a return of some of Liverpool’s normal determination and spirit. No, it’s Dalglish that has done the shoring up of a defence this season; a defence that Hodgson had fatally undermined with the abject failure of two of his three signings. I agree with much of what you’ve said, I don’t think Hodgson did strengthen the defence, I think it was him attempting to do this that made him a failure. Setting up 8 players on the edge of the box is patently more defensive than what Dalglish or Benitez have done, but very few of Liverpool’s players were suited to it, meaning it simply wasn’t effective. Dalglish has shored up the defence just by being more attacking. Right, so it was his failure to field an effective defence that brought about his overall failure. I agree with that completely. I think the reason we were so often pinned into our area by the opposition under Hodgson was a simple inability to keep the ball. Our brittle confidence and lack of composure meant that too many players resorted to hacked clearances when under pressure. That was a big change yesterday, with a much greater preparedness to play the ball out of defence.